This is the first extract from the Freedom Papers, a collaboration between Gutter Magazine and the Edinburgh International Book Festival. 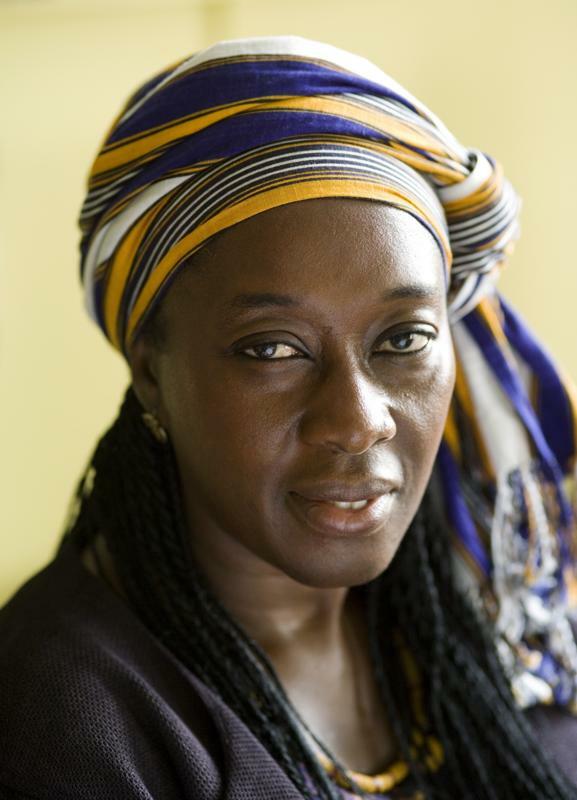 Yaba Badoe is an award-winning documentary filmmaker and writer, whose short stories have been published in Critical Quarterly and African Love Stories: an Anthology. Her books include True Murder, A Jigsaw of Fire and Stars, and a collection of fairy tales, The Secret of The Purple Lake. She is appearing at the Edinburgh Book Festival. I belong to a generation of Africans born as a wave of nationalist movements on the continent which led to independence in the 60s. I’m from Ghana, formerly the Gold Coast, the first African nation to break free from colonial rule. My generation grew up with a belief that having broken with our colonial past, we were forging a bright, new future for ourselves. In my case the nationalist dream I inherited from my parents was that in order for our part of Africa to catch up with the West, my brother and I, the two eldest children in our family, would be sent away to obtain the best education money could buy – a British education, of course! Despite the contradictions of the path my parents set me on, they imbued me with a pride that surfaces whenever I consider the word ‘freedom’ in relation to Ghana. At the midnight hour when the red, gold and green horizontally striped flag of Ghana, the black star of freedom at its centre, was raised for the first time on the 6th March 1957, Ghana’s first Prime Minister, Kwame Nkrumah, said: ‘At long last the battle has ended, and thus Ghana, our beloved country, is free forever.’ He went on to say that Ghana’s independence was meaningless unless it was linked to ‘the total liberation of Africa.’ So, right from its inception, our destiny was entwined with a much larger pan-African vision that embraced the well being of Africans everywhere. Yet back then, he was one of only two qualified doctors working in the whole of the Central Region of Ghana, an area inhabited by over 700, 000 souls. My father worked 24/7. Many pre-independence professionals did. referendum, Prime Minister Nkrumah changed the country’s constitution to become president of the Republic of Ghana. He went on to win another referendum with a stonking 99.9% of the vote a couple of years later; a referendum that turned Ghana into a one-party state, and made him President for life. The road to freedom was not going in the direction my parents had hoped for. Nevertheless, in those early days of independence, the foundation of medical care in Ghana were laid out, as were plans for a teaching hospital to train doctors at the country’s largest hospital, Korle-bu. My father was one of the founding fathers of the University of Ghana Medical School. In 1966, aged eleven, in my last year at a Devon prep school, Nkrumah was deposed in a coup d’état. Some say that the CIA helped to orchestrate it. After all, they were not alone in being spooked by Nkrumah’s support for liberation struggles across the continent. By the time I returned to Ghana to work at the Ministry of Foreign Affairs in the late 70’s, the country was in the throes of yet another period of military rule. The National Liberation Council that had usurped Nkrumah had ceded power to an elected civilian government led by Kofi Abrefa Busia in 1969. Eighteen months later, Busia was overthrown. We lived through coups, counter-coups, blatant corruption and the gross mismanagement of Ghana’s economy. All the while, as my father persevered in editing the first locally produced pan-African surgical textbook for Ghanaian students, now being revised for its 5th edition, everyone fretted about a rising cost of living exacerbated by a 300% rate of inflation. I didn’t agree with Maadi, but I understood what she meant, for I was beginning to question where my loyalties lay too. Making our own mistakes on the road to freedom was all very well, but when I realised that for most of my colleagues the best part of a diplomat’s job was the foreign exchange we earned while posted abroad, I wondered if working in Foreign Affairs was for me. Being paid in sterling, dollars or Deutsch- marks made it easier to buy everyday items such as cookers, fridge/freezers and cars at a more reasonable price than in Ghana. But was I willing to wait five years before being posted abroad when, if I moved to London, I could have a roof over my head quickly? Not surprisingly, my commitment to the hard grind of everyday life in Ghana faltered. A house coup within the Supreme Military Council led to a violent army mutiny in 1979 in which three former heads of state were executed by firing squad by the Armed Forces Revolutionary Council. My boss, the Minister of Foreign Affairs, Colonel Felli was also executed to ensure the ethnic diversity of those culled. We then had de-facto army rule, which mutated in 1992 into the government of the National Democratic Congress, when multi-party politics was reintroduced in the Fourth Republic. By then I’d bailed out of the nationalist dream, had made London my home, and was working as a director of documentary films for the BBC. I was part of a massive brain drain out of Africa, out of Ghana specifically, where doctors trained at the Medical School found homes in Britain, Europe, America, Canada and Australia. Ghana’s brief history as a nation illustrates the point I’m forced to reflect on whenever I think of freedom. In much the same way that Bette Davis said old age is no place for sissies – the struggle for national self-determination in a world in which terms of trade between rich and poor countries operate to the detriment of the poor – is not for the faint-hearted. With his reputation for excellence my father could have lived anywhere he wanted. With the boundless support of my mother, he chose the hard graft of working for the freedom of the country he loved by training doctors in Ghana. I admire his choice. The Freedom Papers is a collaboration between Gutter Magazine and the Edinburgh International Book Festival. 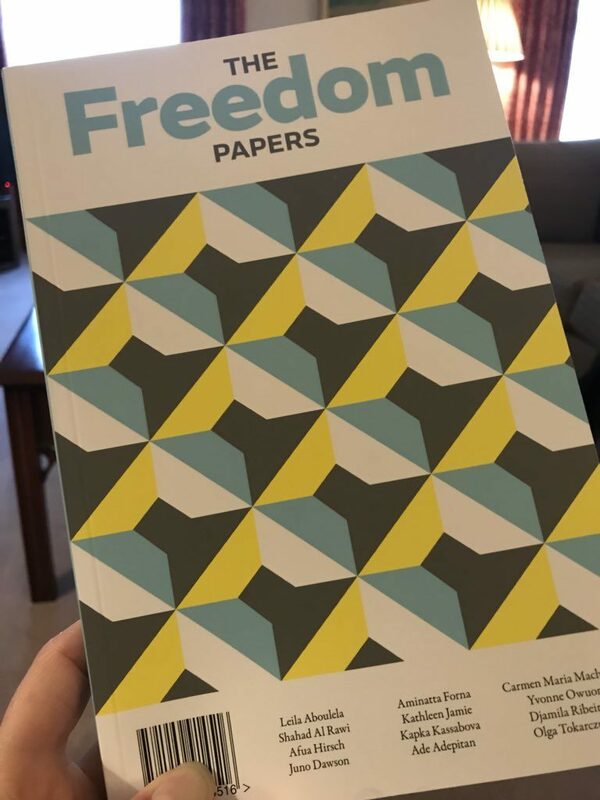 It brings together 52 essays, stories, poems and polemics examining freedom in the light of race, religion, immigration, disability, and education, and how the freedoms of one group may conflict with the freedoms of another. The collection is available as a supplement to Issue 18 of Gutter Magazine, the magazine of new Scottish Writing. You can pick up Gutter 18 + The Freedom Papers in bookshops and online here. An independent Scotland will inherit a budget for foreign aid. We can do better than make an annual electronic payment to an international charity corporation – the same as last year + inflation or a little bit more or a little bit less. We could spend it almost completely within Scotland on university costs and bursaries for medical students, their living expenses and travel cost. There isn’t any doubt is there that medical training is something Scotland does well, and has done since Burke and Hare were around? Within a generation, any Scot or another medic meeting a young african doctor who had been trained in Scotland would be told of that fact within the first 10 minutes of conversation.